WASHINGTON, DC – The Supreme Court announced Monday that it will hear four major cases this fall, concerning immigration, life in prison for the underage Beltway Sniper, jury verdicts, and abolishing the insanity defense. First, the immigration case. In the Immigration Reform and Control Act (IRCA), Congress defined the penalties for employers who hire illegal aliens, and preempted state laws penalizing those employers. Kansas convicted illegal alien employees for identity theft under state law. In Kansas v. Garcia, the Supreme Court will decide if IRCA preempts state laws for illegal alien employees like it preempts laws for employers. It is case No. 17-834. Second is another Kansas case. The issue in Kahler v. Kansas is whether the Constitution’s Eighth and Fourteenth Amendment’s permit a state to abolish the criminal defense of being not guilty by reason of insanity. The case is No. 18-6135. Third is another criminal procedure case. The Supreme Court held long ago that the Constitution’s Sixth Amendment requires a unanimous jury verdict to convict someone of committing a federal crime. However, in two 1972 cases the Court held that the Fourteenth Amendment does not always require state courts to have a unanimous verdict to convict a defendant of committing a state crime. The issue in Ramos v. Louisiana is whether the Constitution always requires unanimous guilty verdicts, and thus that those 1972 cases should be overruled. The case is No. 18-5924. The fourth and final case gets into the legal weeds regarding federal habeas corpus petitions. 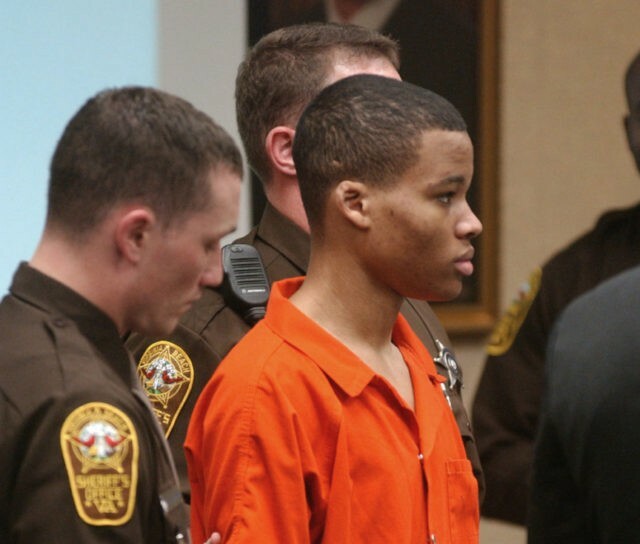 One of the two Beltway Snipers, Lee Boyd Malvo, was under the age of 18 when he participated in terrorist acts in 2002. After conviction, he was sentenced under Virginia law to life without parole. But the U.S. Court of Appeals for the Fourth Circuit held that his sentence must be reduced to something less than life incarceration because of Supreme Court precedents from more liberal justices in 2011 and 2016. The issue in Mathena v. Malvo is whether the new constitutional rules from those decisions in 2011 and 2016 apply retroactively, rendering Malvo’s sentence unconstitutional. The case is No. 18-217. The Supreme Court will hear all four cases sometime in the last three months of 2019, with decisions likely in early 2020.